Prelude and Fugue No. 1 in E Minor, "The Great"
Italian keyboard virtuoso Simone Stella has dedicated his studies to the keyboard music of J.S. Bach which he demonstrates on this recording containing some of the most notable music of the Baroque era. 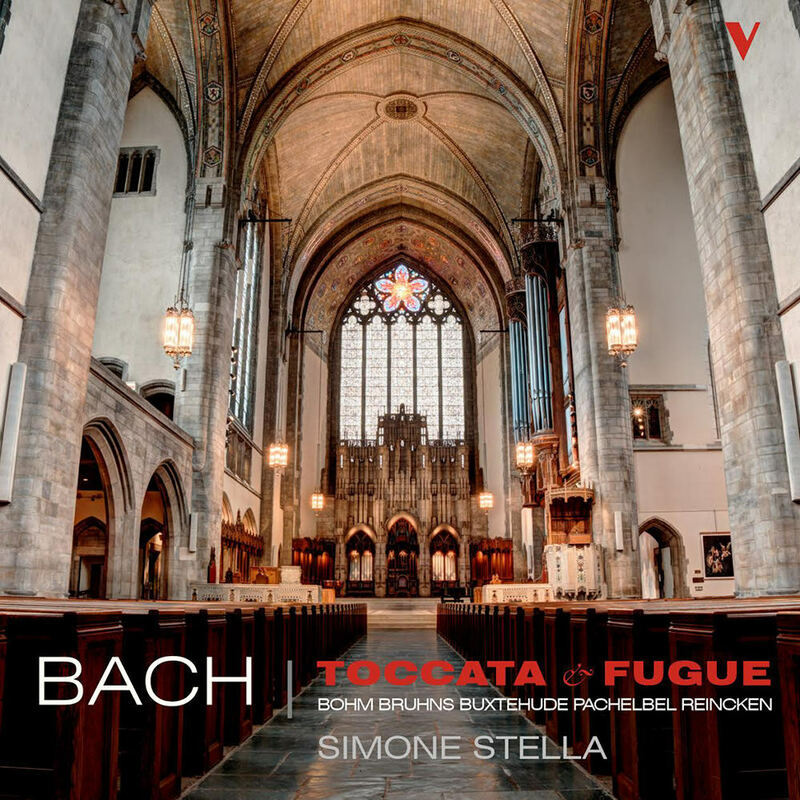 A celebrated early music specialist, Stella presents a fresh and invigorating reading of Bach's Toccata and Fugue alongside memorable keyboard pieces such as Pachelbel's Chaconne, Buxtehude's Passacaglia and the Prelude and Fugue in E Minor by Bruhns. The sound of the Zanin organ and of the Church of St. Antonio Abate are perfectly captured on this 2014 release.